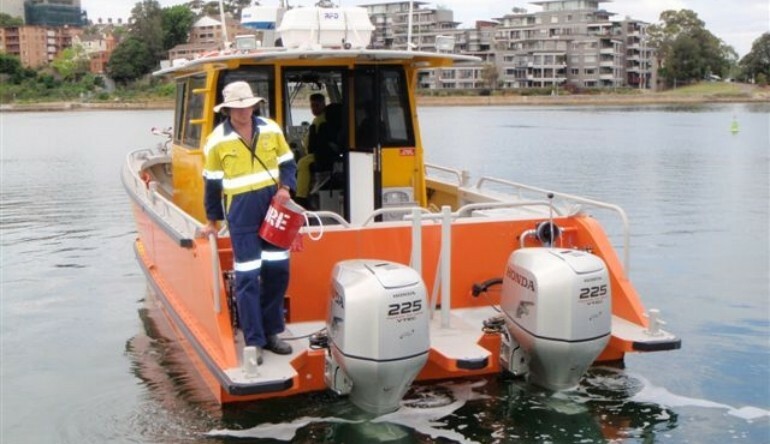 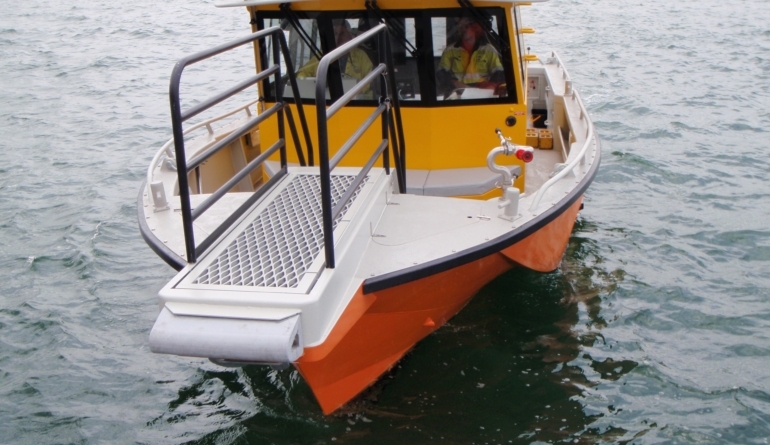 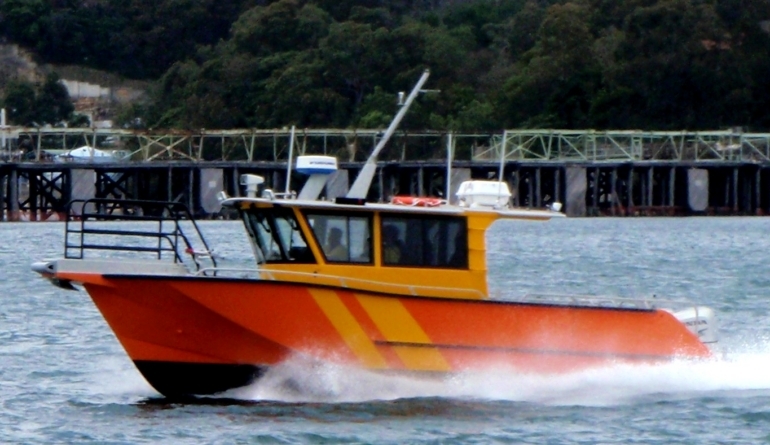 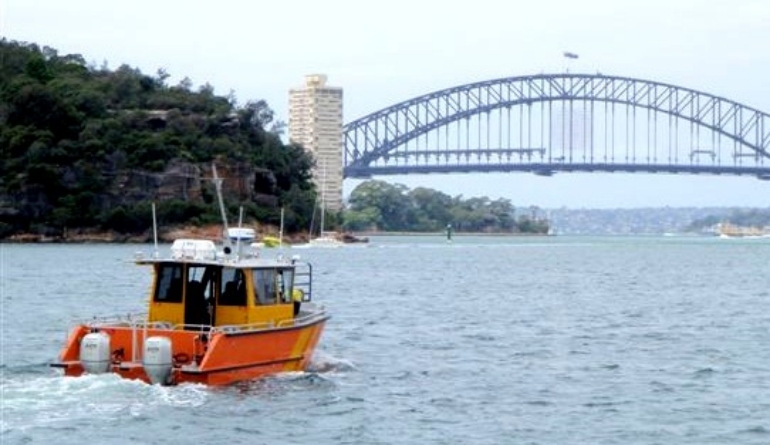 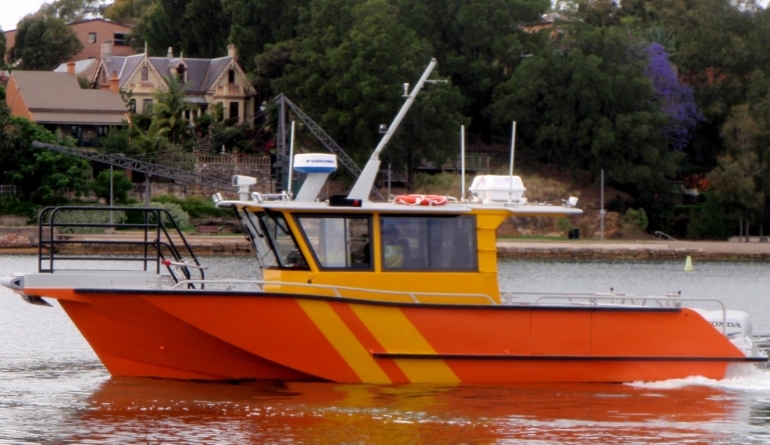 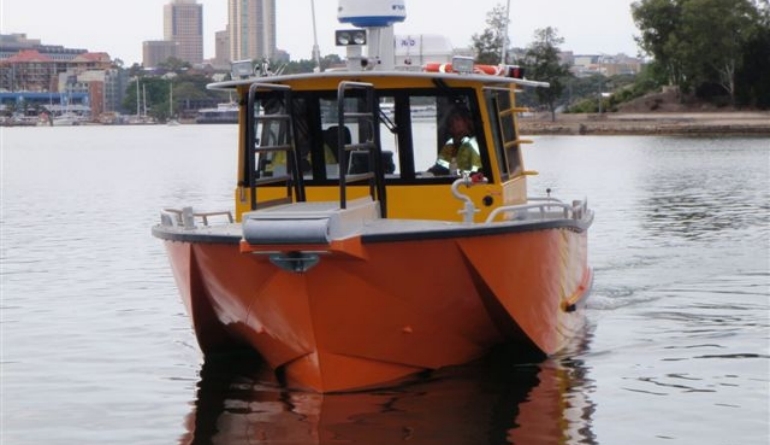 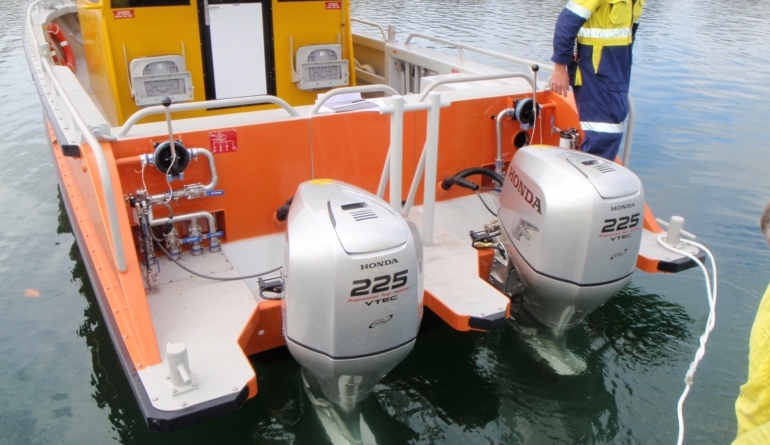 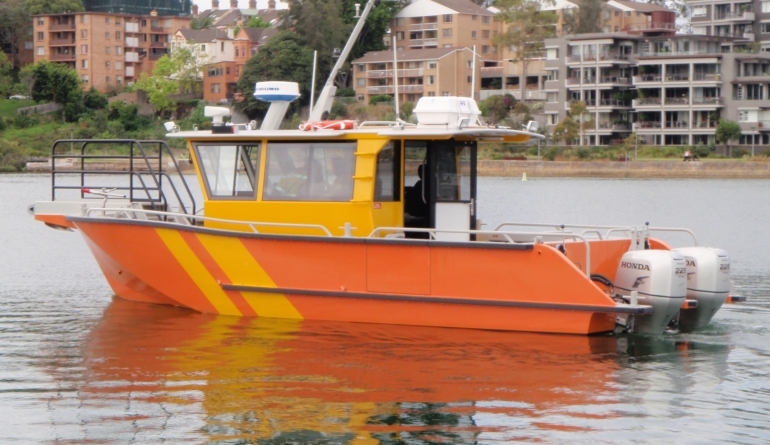 Take our proven Sea Rescue 9.3m vessel, make a few modifications and you have the Sydney Ports hydro-graphic survey vessel. 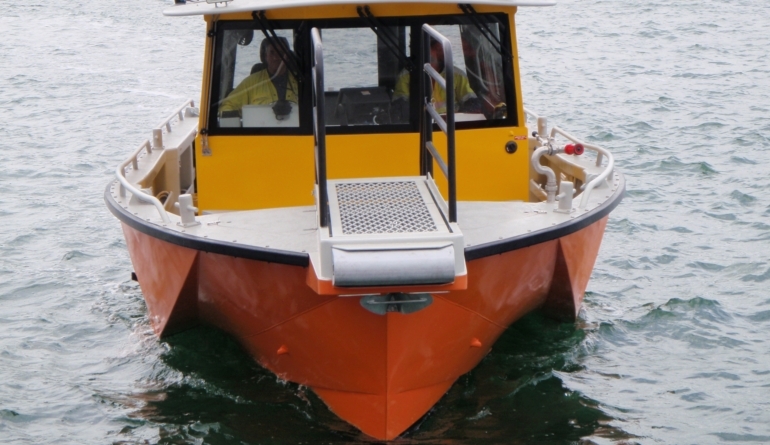 In survey to USL class 2C for 6 special personnel, this boat will do tasks from navigation maintenance to fire fighting, with the ability to tackle the seas outside the heads with ease. 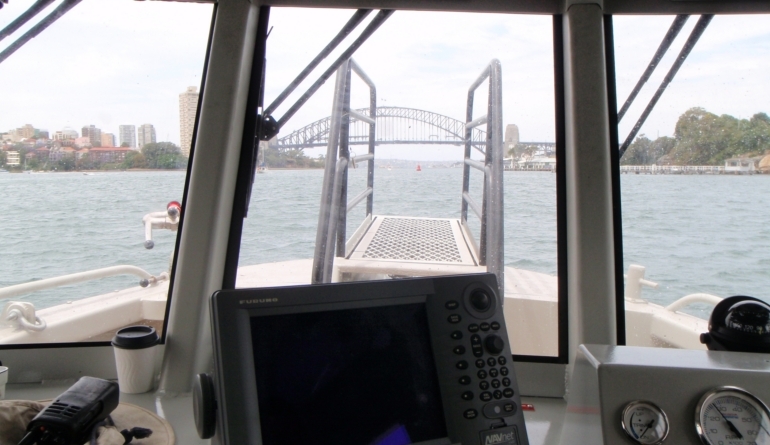 Launched in mid 2008, after a detailed build by Axiom Alloys, the vessel has proven itself to be incredibly capable in a variety of roles on and around Sydney Harbour. 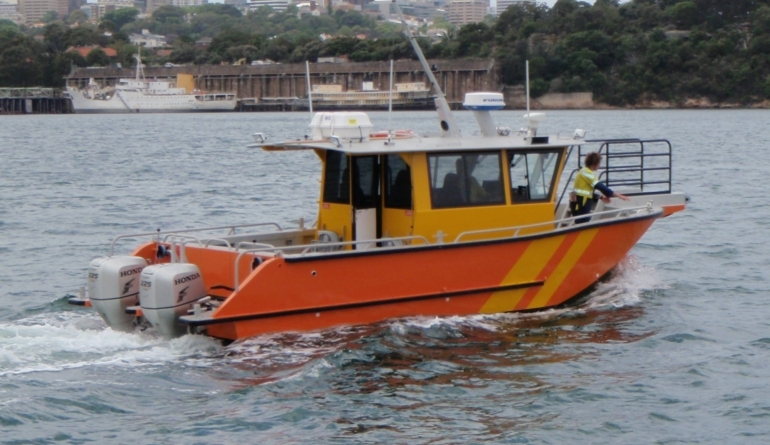 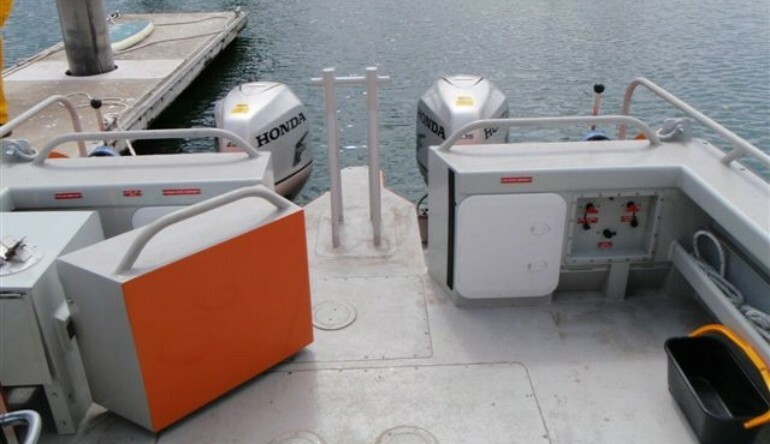 The foredeck has been modified from the standard Sea Rescue version, with the electric anchor winch recessed below a flush mesh walkway. 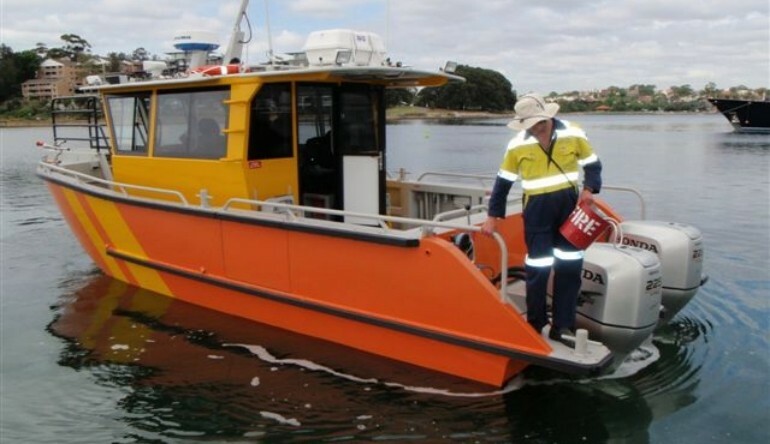 Sydney Ports are adding an on-deck fire pump with piping running from the pump location on the aft deck, up to the bow. 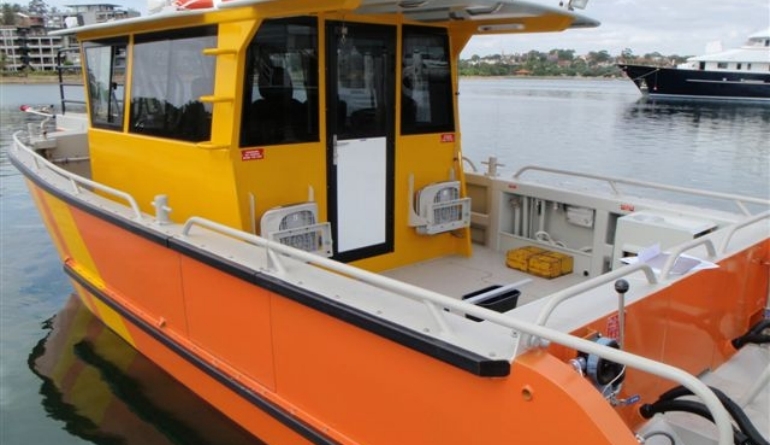 In addition, they have added a functional set of stairs with safety grab rail, which will make all bow operations safe for the crew.